As a kid, I had a total thing for those “spot the difference” cartoons. 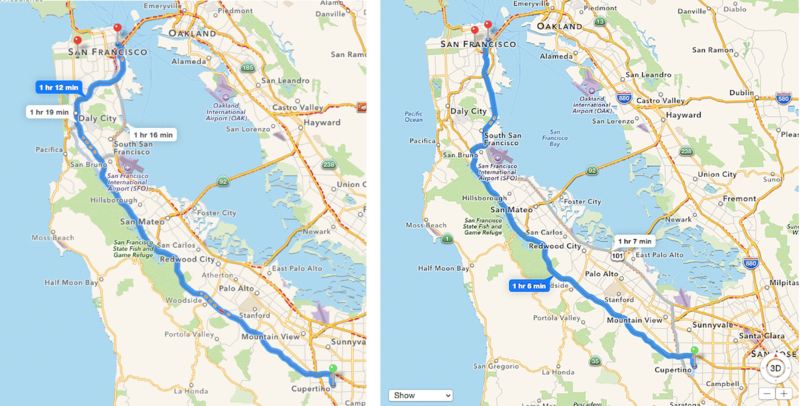 Here’s a look at what I found with the new Apple Maps for San Francisco, want to play* along? Click to expand. Old version on the left. In the new version the option to show traffic and 3D are always in frame. 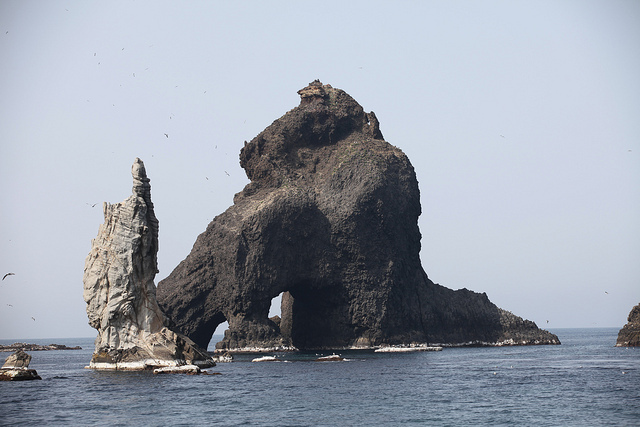 Why OpenStreetMap matters: Where did Dokdo go? Battle lines have always been drawn over maps. Place names are political, cultural, temporal: from Constantinople to Istanbul and Burma to Myanmar what a place is called matters. In the digital age, however, you have no idea who is behind the changes and why. The companies that make the maps millions of people use every day change names following opaque processes that appear to depend on who lobbies loudest at the moment. It’s a strong argument for free, public, editable maps like OpenStreetMap where both the changes and the debate are transparent. 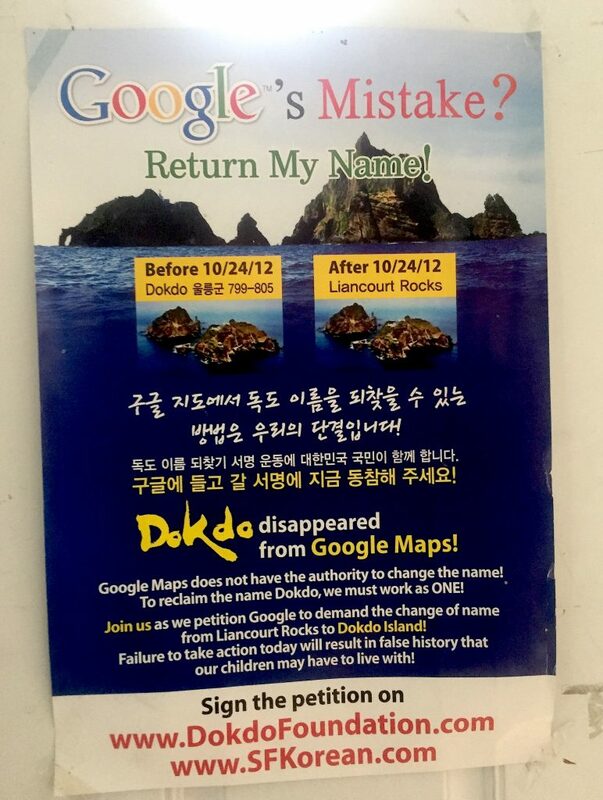 About a week ago, I spotted this poster petitioning Google to put Dokdo back on the map at San Francisco’s Korean American Community Center of San Francisco & Bay Area.